Brittany and TJ just might be the toughest couple I’m ever going to photograph getting married. The day of their engagement session, it was about 105° nearly the entire two hours that we shot. I guzzled down buckets of water and eventually ran out. The three bottles that I bought for them went virtually untouched. Brittany drank about a cap full from her bottle, and TJ didn’t even break the seal on his. I honestly have no idea why I didn’t have to call 911 at some point to get medical assistance for these two. Tough as nails, I tell you. Their acclimation to the Texas heat may have a lot to do with their lifestyle. These two are turkey-hunting, hog-skinning, calf-raising, fish-finding people. They are no strangers to the outdoors. And for every bit as tough as they are individually, the toughness of their bond is replicated. Though they’ve known each other through high school, college and since, it was not love at first sight. It wasn’t until last March that Brittany and TJ became an item after mutual friendships gave them an excuse to become even better friends. Their first date was on opening day of the spring turkey season. The two were both so nervous, they failed to bag anything. And the outdoor tradition has continued right up to the proposal when TJ proposed while working calves. Brittany and TJ have learned that they balance each other out. Where TJ has weaknesses, Brittany fills in with strengths and vice versa. They’ve become a very well-oiled machine that works together to create a bond so tight that it can’t be broken. They have come to just about read each other’s minds. Here are some of my favorite images from their shoot! If you’d like to see all the images from this country engagement session, please enjoy this video. For the best quality, be sure to change the video player settings to 1080 HD. Please leave Brittany and TJ some love and adoration below in the comments section! Let us know you stopped by! 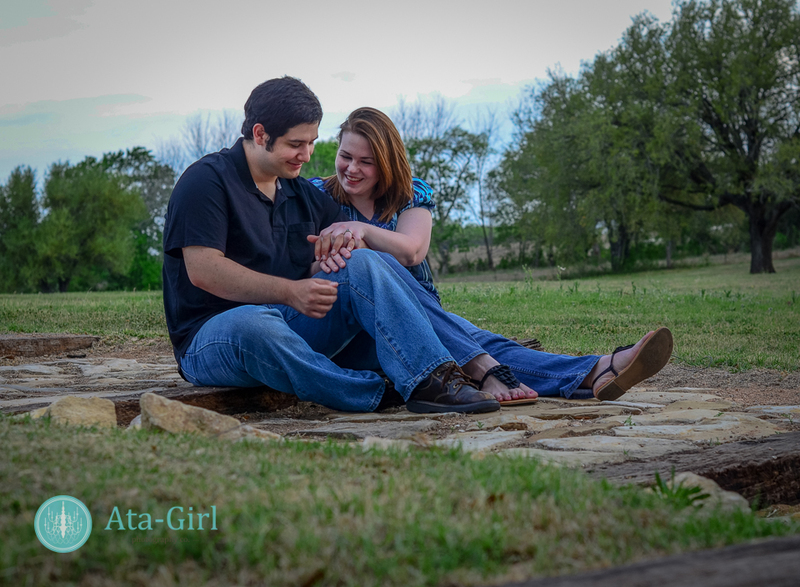 The post, Brittany & TJ’s Country Engagement Session, first appeared on Ata-Girl Photography Co.’s website and blog. Please feel free to comment here, or share this post with your friends via Facebook, Twitter or Pinterest. Please email me if you have any questions about this article or want to share a neat idea for a future blog post with me.